According to the U.S Department of Labor, there were 364 deaths due to falls in 2015. 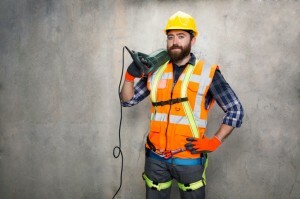 Were you aware that falls are the leading cause of fatalities in the construction industry? According to the U.S Department of Labor, there were 364 deaths due to falls in 2015. This is an alarming number; however, the good news is that falls are usually preventable. Keep reading and discover how falls can be prevented in the construction industry. The importance of training cannot possibly be overstated in this industry. In addition to providing employees with proper equipment for each job, they also need to be provided with sufficient trainings. They need to be educated properly on how to use the various types of equipment, so they are comfortable using it. Workers need to know when certain pieces of equipment can and should be used. Certain jobs call for certain pieces of equipment. Some common examples include rope grabs, retractables, lanyards, and beam straps. When these pieces of equipment are used correctly, they can prevent serious injuries and fatalities. In order to ensure a project runs as smoothly as possible, adequate planning is critical. Some things to plan for include choosing the right personal protection equipment, determining exactly what type of work needs to be conducted, and the types of tools/equipment that will be needed to execute each project. Before construction workers can begin a project, they need to have a full understanding of the site’s working conditions. All too often, workers do not survey and the site and consider the potential slipping and tripping hazards present. They can easily cause knee and ankle injuries. Wet or muddy surfaces are often a recipe for disaster. Also, always be on the lookout for uneven pavement and floors. This entry was posted on Friday, September 14th, 2018	at 5:06 pm	and is filed under Safety Tips	. You can follow any responses to this entry through the RSS 2.0	feed. Both comments and pings are currently closed.